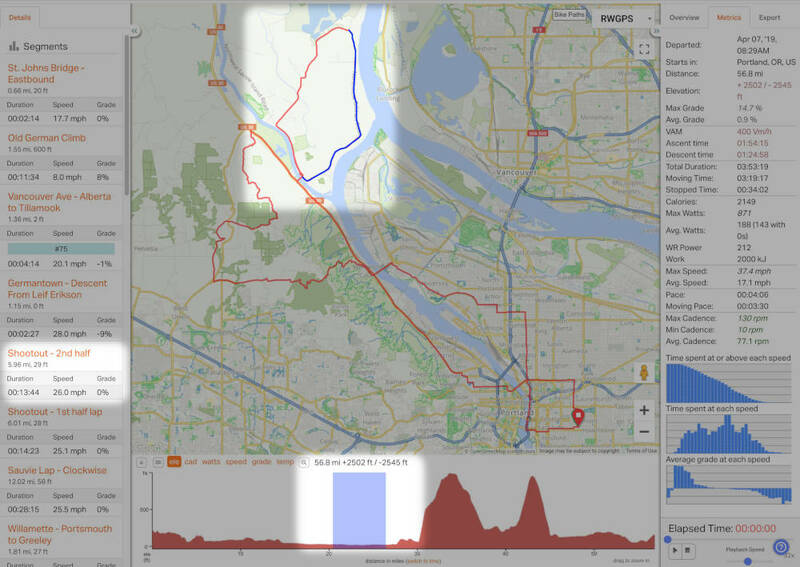 You’ve just uploaded a great ride, latest leg of the tour, or a quick jaunt around your favorite riding spots in town. 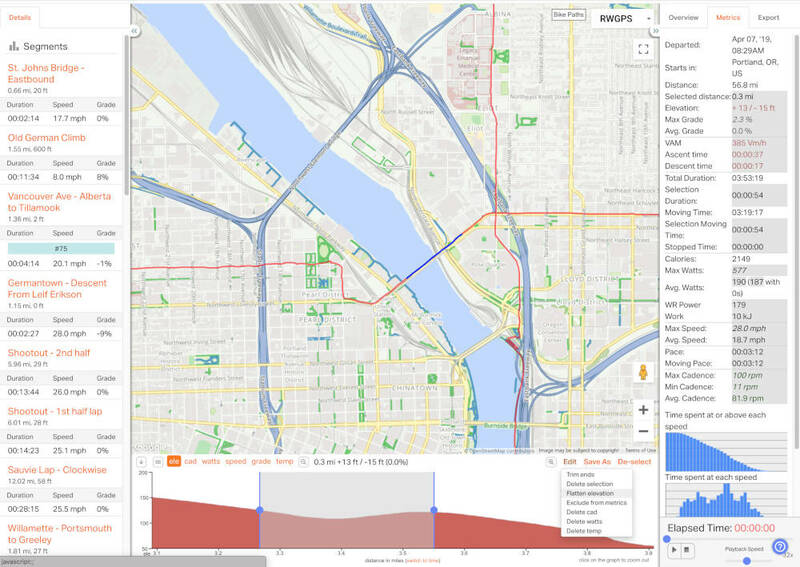 Now let’s learn what can be done within the elevation profile to analyze your ride, make changes, create segments, and make new routes based off of it. What’s the difference between a Route and a Ride? 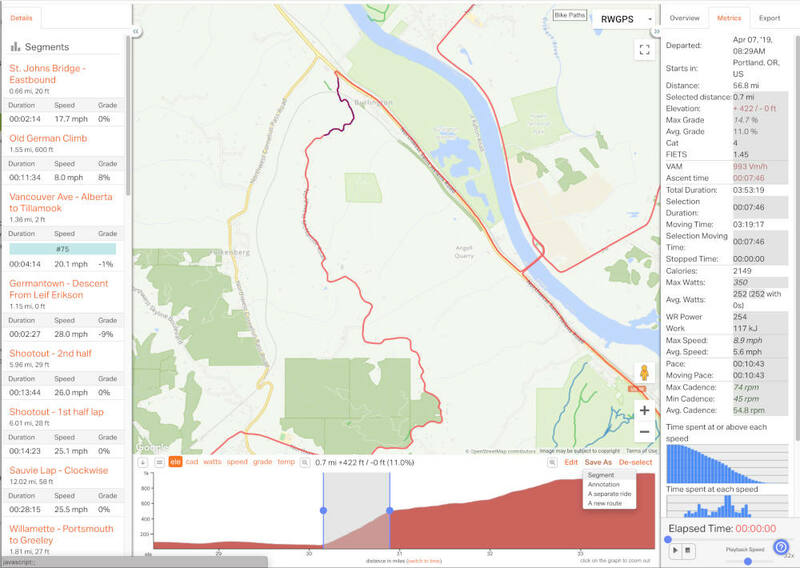 Hovering the mouse pointer over the elevation profile will give you info for that specific point like elevation, grade, heart rate (if available), speed, and distance. 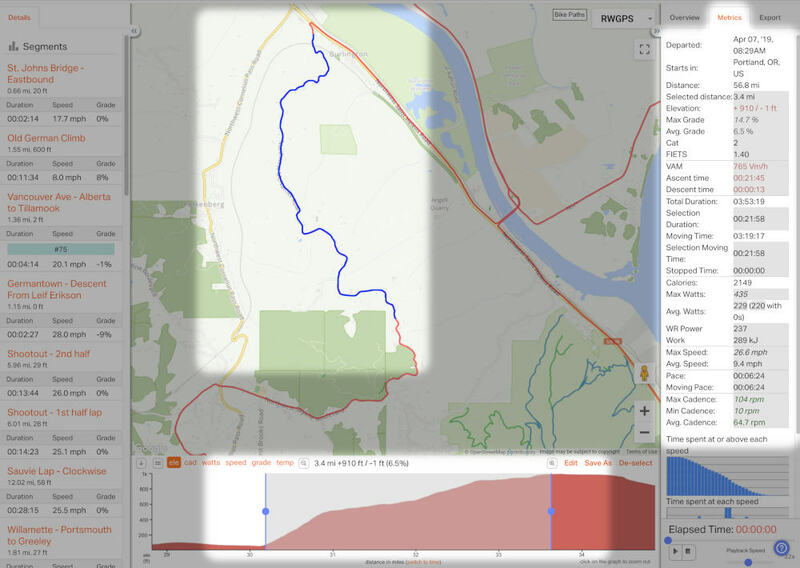 You’ll also see a blue dot appear along the ride that corresponds to the location on the elevation profile. Moving the mouse over existing segments in the left side panel will highlight the segment on the map and elevation profile. In the upper left corner of the elevation profile, you’ll see ELE, SPEED, GRADE buttons. When clicked , the graph will overlay the respective info. If you had recorded a ride with a heart rate monitor (HR), speed sensor (SPD), or cadence sensor, then you will also see corresponding buttons for these metrics. HR, SPD, and CAD. Activating all the graph selectors can clutter the graph, but to the left you can click the hamburger button to see these graphs on separate lines instead of stacked on each other. 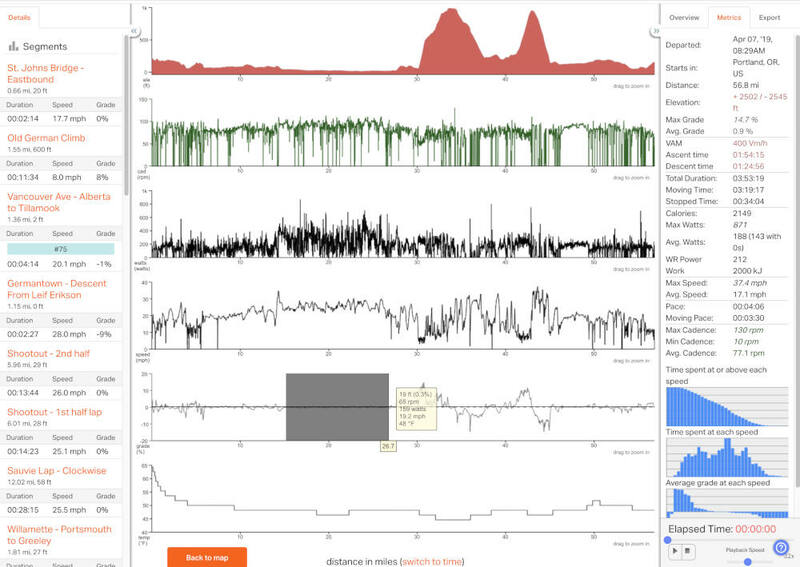 Like the elevation profile, you can click and drag to select a portion of any of the displayed graphs to see the corresponding selection in the metrics and the graphs around it. Making a selection on the elevation profile allows you to take advantage of so many other functions. Click DESELECT to clear your selection. 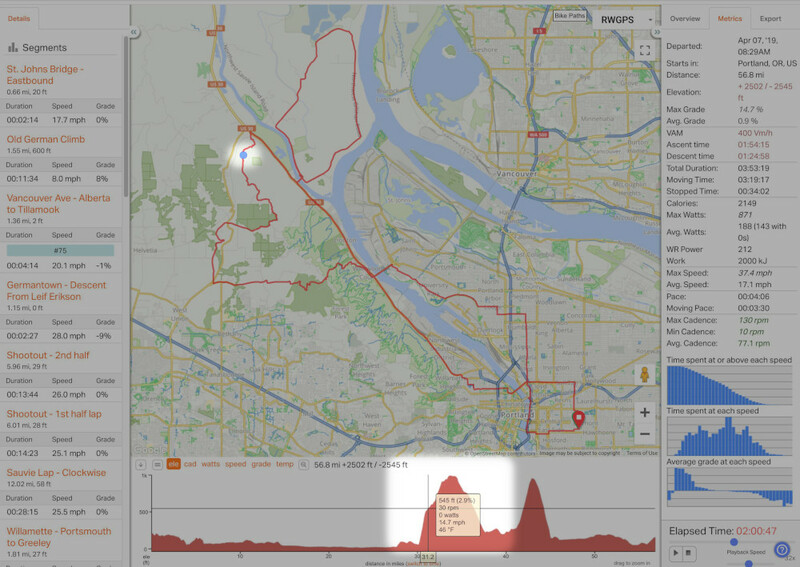 You can view the metrics for the entire ride, or you can view the metrics for a part of the ride by making a selection on the elevation profile then clicking Metrics in the right side panel. As you change the selection, the corresponding metrics in the right side panel will be updated in real-time. 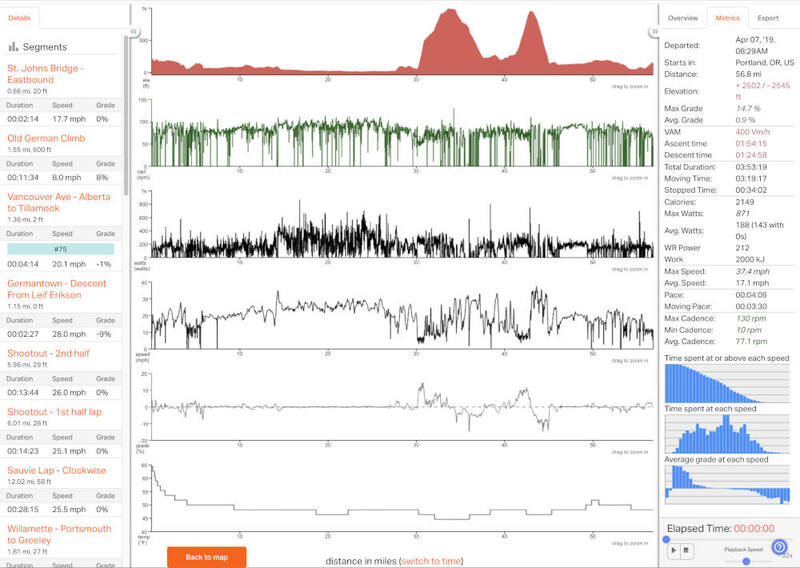 While viewing or editing a ride, make a selection to bring up the EDIT menu just above the elevation profile. These features are available for Premium subscribers. Trim Ends Did you have some delays at the start and/or end of your ride? Make a selection, click Edit, then Trim Ends. Delete SectionThe selection will be deleted. Great for cutting out that part of the ride where you forgot to turn off the GPS or stop recording. Flatten Elevation Use this to fix dips and spikes caused by bridges and tunnels. See Flatten Elevation for more info. Delete HR This option will only delete the heart rate data for this selection. Delete CAD This option will only delete the cadence data for this selection. These options are available after making a selection on the elevation profile. Segment What’s a segment? A section of a ride that compares ride times agains other riders. If the segment is marked private, it will only be compared to your own efforts and will not be seen by other riders. Annotation Save a note about a section of a ride like “Fun Downhill”, or “Pavement a bit rough”. Annotations will appear in the left side panel under Segments. A Separate Ride A Premium Subscriber feature. This will create a new ride entry based on the selection. 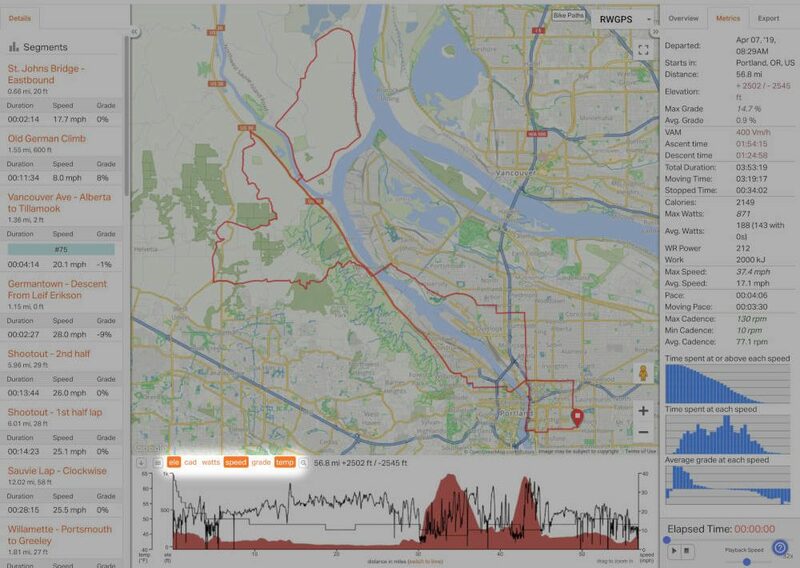 Handy for if you only want to have record of a specific portion of an existing ride. New Route This feature is for Premium subscribers. If you want to make a part of a ride into a route with cues, learn more in the Turn a Ride into a Route article.